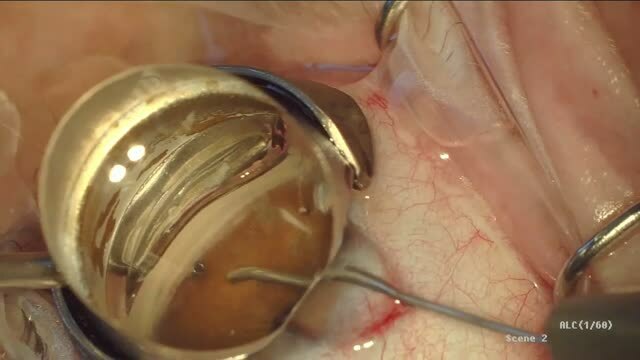 We describe a viscodilation of the Schlemm's canal using the iTrack device (Ellex) over 360 degrees followed by the implantation of two trabecular microbypass stents (iStent, Glaukos). At the end of the case, laminar flow through the aqueous veins help confirm the patency of the device. Presented by Georges Durr.